Listen to our (Animal) World Cup Song! Hello, it’s Alex here from Fun Kids Junior. 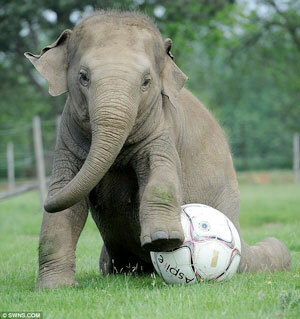 For the past couple of weeks we have been discussing the World Cup on the Animal Hour, and which animals would play which positions in a football team. So far we have an octopus in goal, eagles and elephants in defence, a parrot as manager and a horse and cat on the wings. On Wednesday, we’ll decide who are going to be our star strikers! But this got me thinking about what would happen if a team of animals entered the actual World Cup and I’ve only gone and written a song about it! And since we’re talking about animals and football, here are the Fun Kids Cat and Fun Kids Dog going head to head with their World Cup Predictions!